Sophisticated technology for safe and payload-optimized services: TALKE just took the first hundred of a total of 265 trailers under the new Texas heavyweight bill into operation. In addition to this, the company´s own fleet of 100 state-of-the-art truck heads will all be foreseen with the 93K permit, in order to facilitate an increase of payload for its customers. “Our modern fleet of truck heads have become a familiar sight in and around the Houston port area and we are proud to now complement those with these specially designed chassis to offer our customer the best service levels, while protecting the safety of all road users,” says Alexander Boehm, Site Manager at TALKE in Houston. In line with TALKE’s position as leading logistic service provider for the petrochemical industry, the fleet has been designed with the highest safety standards. Truck heads and chassis are equipped with ABS/RSS, disc brakes, wide base tires on ALCOA aluminum rims while the trailers are additionally foreseen of SAF-Holland air ride suspension, automated based-on-load lift axles, a tire pressure monitoring system and 12-lock flexible container positions, making them among the safest and most modern on the road. “Investing in top quality equipment is part of our responsibility but equally important is ensuring that our drivers live up to our standards by means of thorough training and continual improvement. 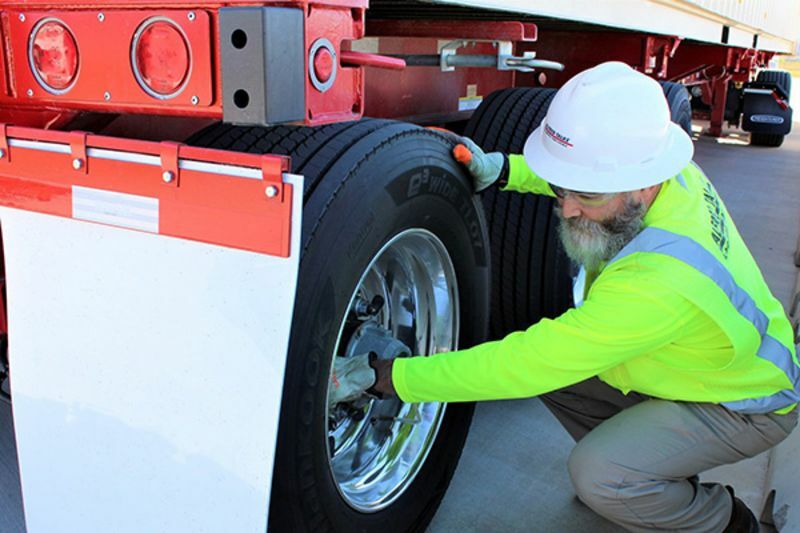 We are strong believers in Behavior Based Safety and are very happy with the excellent team of drivers we have been able to build up since we set up operations in Houston,” says Richard Heath, CEO & President of TALKE USA. TALKE is one of the world’s leading logistics service providers for the chemical and petrochemical industry. The core competencies of the company founded in 1947 include the transport, storage and handling of hazardous and harmless materials in all aggregate states. In addition, the logistics specialist offers consulting, design and implementation of appropriate structures, processes and systems. With a total of more than 4,000 employees, TALKE is active within Europe, the Middle East, India, China and the United States.